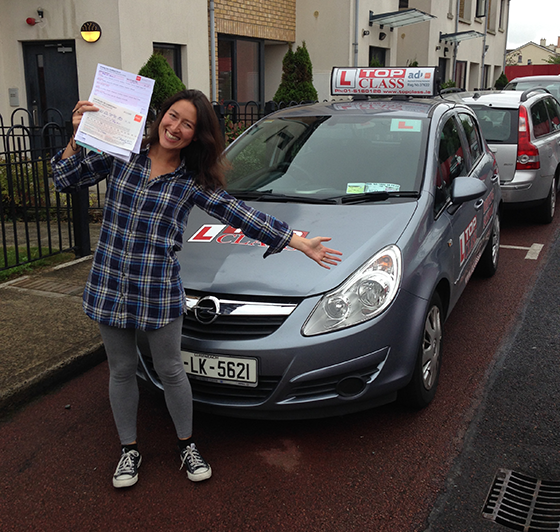 I just want to thank Top Class Driving School for all the support you gave my daughter for passing her driving test. She had failed 3 times already but the 4th time I hired you as her instructor and after a few hours she booked again and passed on her fourth time. Thanks for your professional help. Also my son completed 12 EDT lessons with you in August and I booked his driving test for 28th December 2012. So only 5 months after his EDT lessons he did a pre test with you and he easily passed his test with only 4 mistakes. That was great and I really want to thank Pat Ferris for his patience and professionalism. All the best Sadri and family. Best wishes for 2013.